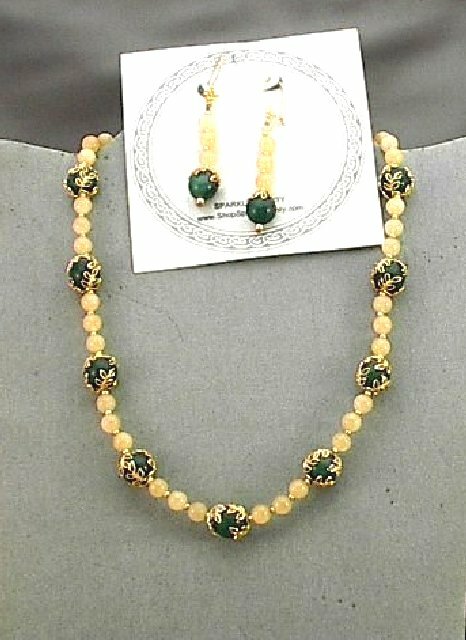 Creamy yellow aragonite beads team up with dramatic dark green aventurine to make a rich, elegant necklace and earrings set. 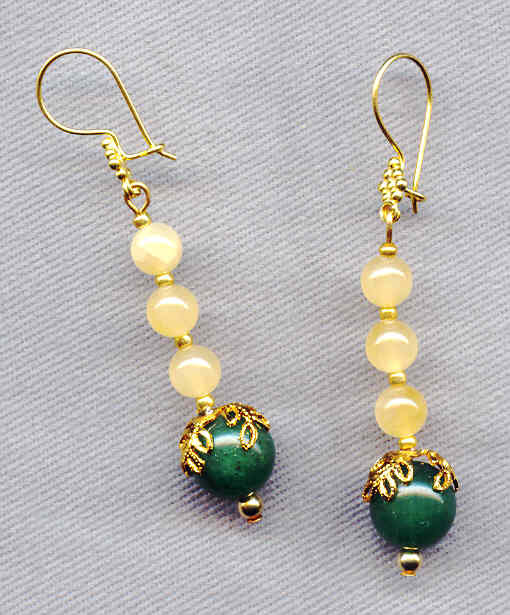 The luxurious look is completed by the shiny, lacy, gold plate bead caps and spacers. 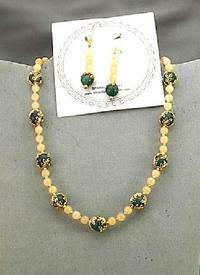 The necklace is a chic 17 inches long, and closes with a gold plate tab clasp. The earrings dangle about 2-1/4 inches from the tops of their 14Kt gold fill European style findings. It's another gorgeous set from SPARKLE PLENTY. All our one of a kind and limited edition artisan beaded jewelry is individually handcrafted in our studio in Los Angeles, California. Be sure to browse our other indie boutique designs including bracelets, necklaces, earrings and other gorgeous fashion accessories. The porcelain face on the pendant began life in the 1930s as the embellishment on a table lamp.